Before Evelyn Mungai opened the first school of design in Nairobi, there was no such industry as fashion design in East Africa, and so of course there were no fashion designers. She took it upon herself to train thousands of young people across the continent. Under her expert guidance, some went on to start their own businesses in this lucrative field, while others were employed in the related textile and graphic and interior design sectors. Her graduates span the globe, grateful for the foundation they received at the college. Because of her hard work and dedication, the name Evelyn College of Design has come to be associated with quality. In 1981, she was invited to join the prestigious Africa Business Round-Table (ABR), the high-profile continent-wide private sector body of the African Development Bank. She was its first woman member. She has also been closely associated with the establishment and promotion of the Corporate Council for Africa and the Global Coalition for Africa, two influential US-based bodies that bring the American and African private sectors closer together. She later served as a board member of the Africa Project Development Facility of IFC, the private sector development arm of the World Bank. For many years, she published Presence Magazine, which provided a platform for strengthening and promoting women. She also published Kenya Women Reflections, a book about Kenyan women active in the struggle for independence. 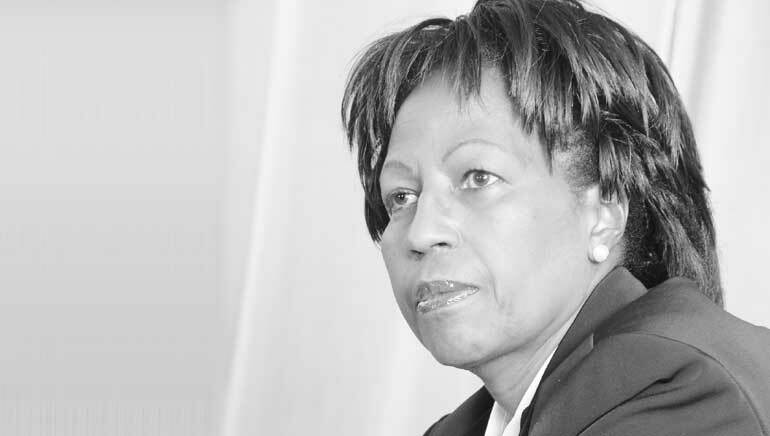 She has several other business interests, including in property development, and at one time was Founder Chairman of Faida Biashara, a private-sector-driven micro-finance company that empowered small-scale business people. She is also the member of the International Advisory Panel of the World Islamic Economic Forum representing Africa in this prestigious and influential global body that promotes business between Islamic countries and between them and the rest of the world. She is a past Chairman of the Kenya chapter of Transparency International, and serves as a Trustee of the President’s Award Scheme. She was a founder board member of the Nairobi Central Business District Association, and also of the Kenya chapter of Safety on the Roads International. As the first woman member of the Rotary Club of Nairobi, she launched initiatives in the fields of education, agriculture, health, infrastructure and income generation, and provided for a home for 50 AIDS orphans. Above all Evelyn Mungai has been a leading champion of women economic empowerment, in Kenya and all around Africa. Her mission as the Founder President of the All African Businesswomen’s Association (AABA), is to facilitate networking and personal development among senior women in the private sector. Finally, she lives and promotes the best of traditional African values, in terms of respect for the family, awareness of cultural heritage, and integrity. In 1993, she was awarded the Lincoln University President’s Award for excellence in business and finance. President Kibaki honoured her with the national award of the Order of the Grand Warrior (OGW).